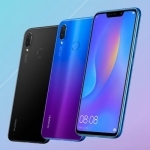 This is the Huawei Nova 2 Lite! 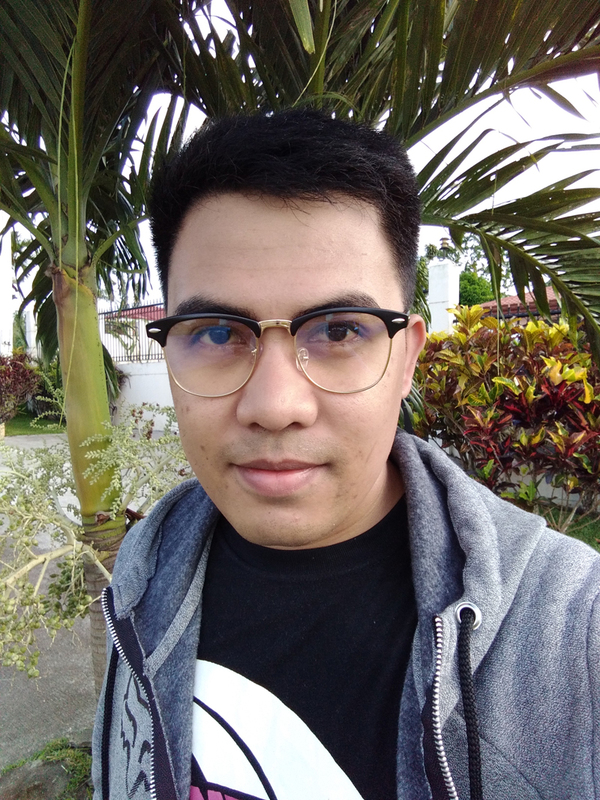 Using the Huawei Nova 2 Lite convinced me that the Nova series of smartphones is intended for the design conscious and selfie-taking millennials. It’s a gorgeous smartphone that shoots Instagram-worthy pictures! However, it also has its issues. Let’s find out its strengths and weaknesses in this in-depth review. 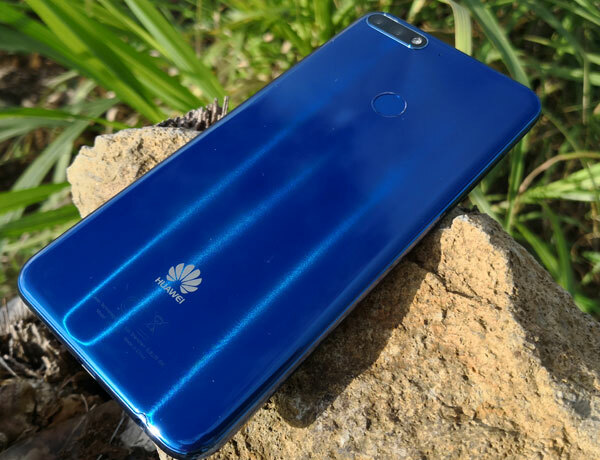 The Huawei Nova 2 Lite follows the design language of the Mate 10 Pro – a glossy back and an 18:9 display that almost occupies the entire front panel. It looks stunning, especially the blue color. However, it’s also prone to smudges and the side bezels are still substantial (around 4 mm). Thankfully, the sides are gently curved making the device a pleasure to use with one hand. 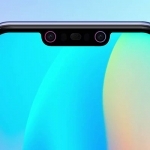 The device uses on-screen buttons so only the Huawei logo is on its chin. Above the display is where the front camera, its front LED flash, LED notification light, earpiece and sensors are found. 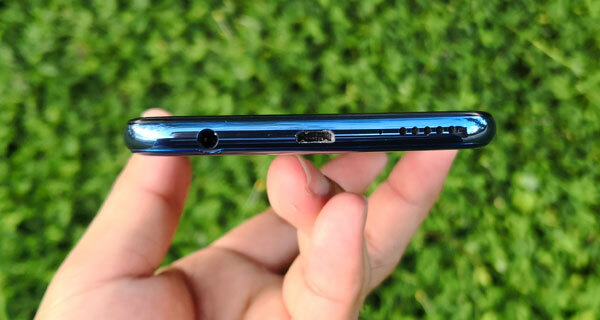 Audio port, microUSB port, microphone and speaker grille. The bottom is occupied by the speaker grille, microphone, microUSB 2.0 port and 3.5mm audio port. Its power and volume buttons are on the right side while the SIM card and microSD card tray is on the left side. There’s nothing on the top while the dual rear camera, its dedicated microphone and fingerprint sensor are on the back. 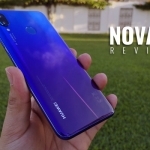 I would have said the build quality of the Huawei Nova 2 Lite is solid despite a plastic body since it feels sturdy when held normally. However, I heard creaks when I pressed the right portion of its back. There seems to be a bit of an empty space underneath. 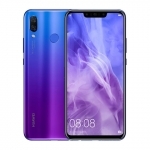 The 6-inch display of the Huawei Nova 2 Lite has an 18:9 aspect ratio and HD+ resolution. Texts and graphics look clear and crisp while brightness is enough for outdoor use. An FHD+ resolution would have been better but it will also consume more power. It’s very responsive to touches or swipes and supports up to 10 simultaneous touch points. My only issue with the screen is its Automatic brightness that makes the display too dim. I had to constantly increase the brightness when the ambient light changes. It’s a software issue so a software update can easily fix it. The Huawei Nova 2 Lite runs on a Qualcomm Snapdragon 430 chipset. It has a 1.4GHz octa core CPU, Adreno 505 GPU and 3GB of RAM. Basic tasks such as swiping app screens, scrolling down websites and opening apps are virtually lag free except for some occasional hiccups when a lot of apps are already running. Games like Mobile Legends, Tekken and Temple Run are all smooth even in high graphics quality. However, more demanding games such as Rules of Survival need to be in low to medium graphics setting to run smoothly. 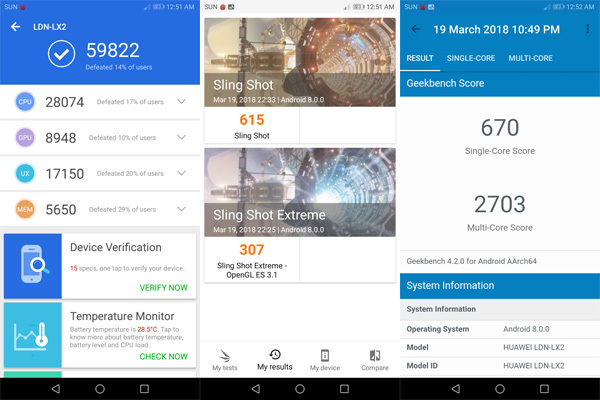 It scored 59,822 points on Antutu Benchmark v7.0.5, 615 points on 3DMark Slingshot, 670 points on Geekbench 4 single core and 2,703 points on Geekbench 4 multi-core. 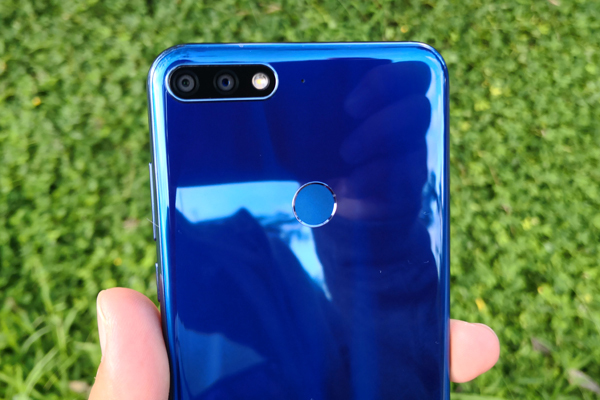 The Huawei Nova 2 Lite is equipped with a 13 + 2 Megapixel dual rear camera system. There’s also an 8 Megapixel front camera with its own variable brightness front LED flash that the company calls “Selfie Toning Flash”. Its dual rear cameras can produce good-looking pictures with ample light. Colors are accurate, subjects appear sharp and focusing is quick. However, its dynamic range is severely limited making bright backgrounds appear washed out. 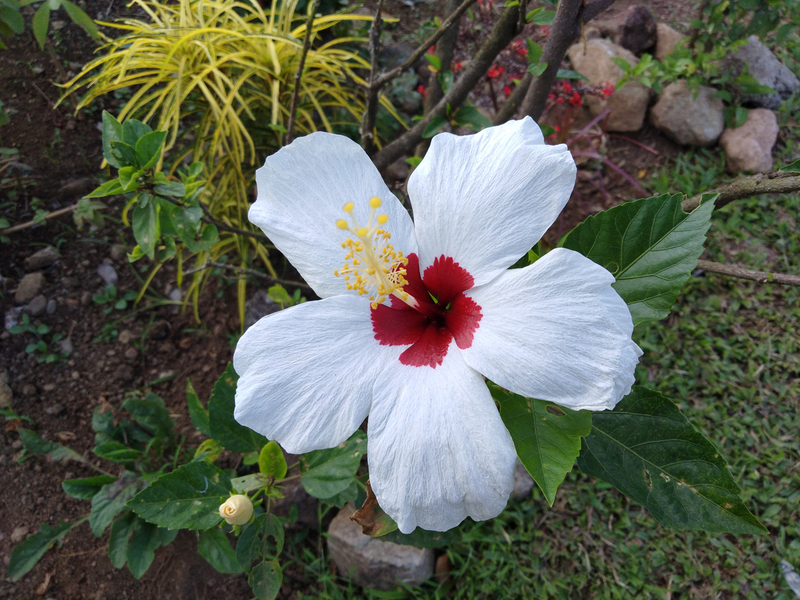 Huawei Nova 2 Lite sample picture (rear camera, auto). Notice the washed out background. 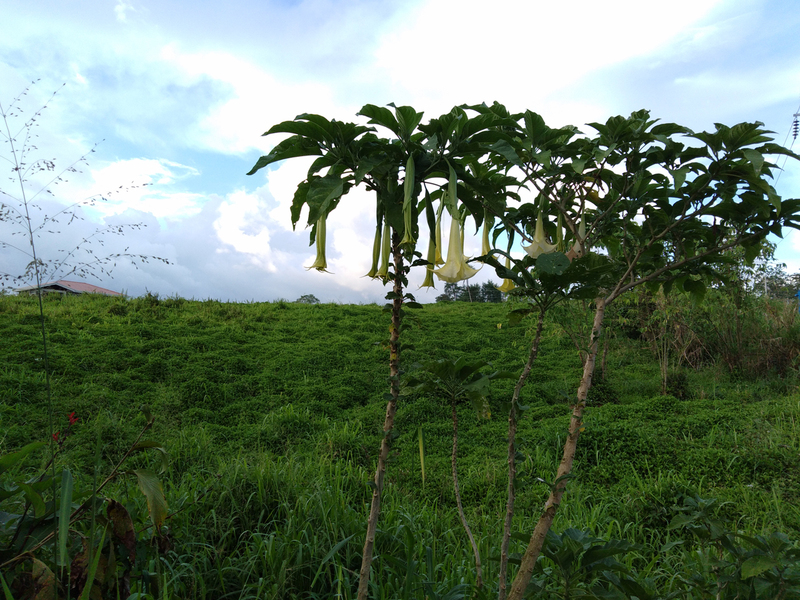 Low light scenes are also a bit challenging for the device but its LED flash is adequate for dramatically better pictures at night. 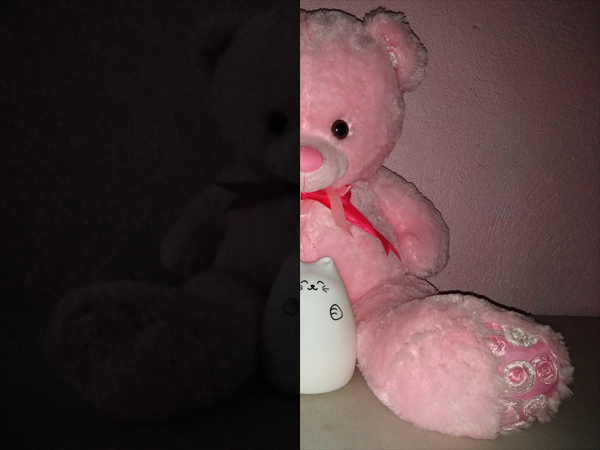 Sample pictures of a dark scene with and without using the flash. I tried using the bokeh effect since that’s the purpose of the secondary rear camera. However, it’s not yet available in the software version of the pre-release units. Follow Pinoy Techno Guide on Instagram and I’ll post a sample picture there once the software update has been issued. Let’s now focus on the selfie camera of the Huawei Nova 2 Lite. Despite the lower resolution compared to the 13 Megapixel selfie shooter of the Nova 2i, this one actually takes great selfies! It’s another proof that Megapixels aren’t everything. Bright backgrounds also tend to be washed out but that’s understandable in selfies where the face should always be the focus. Selfies in the dark with no flash and different front flash brightness. 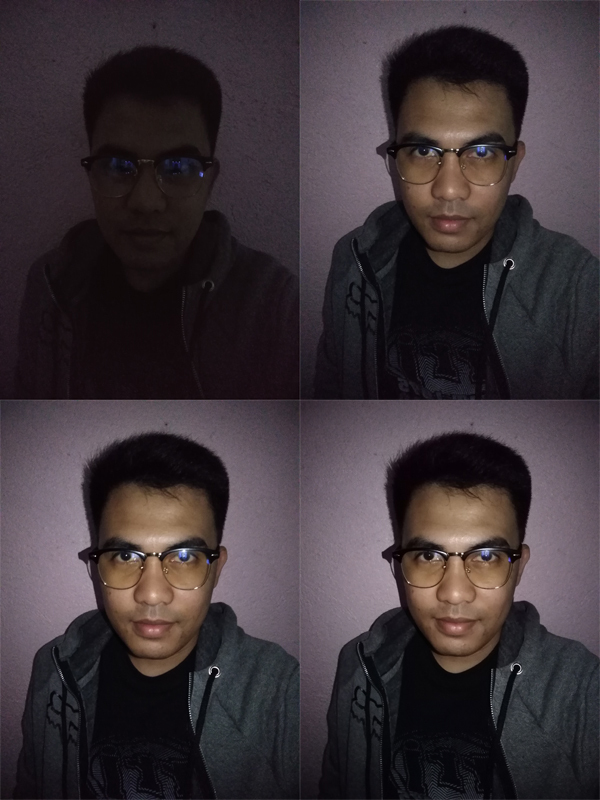 Its “Selfie Toning Flash” is a nice additional feature. Some situations call for a bright flash but others, especially when you’re in a café, just need the right amount of light. There are three brightness levels that can easily be adjusted along with the beautification strength. 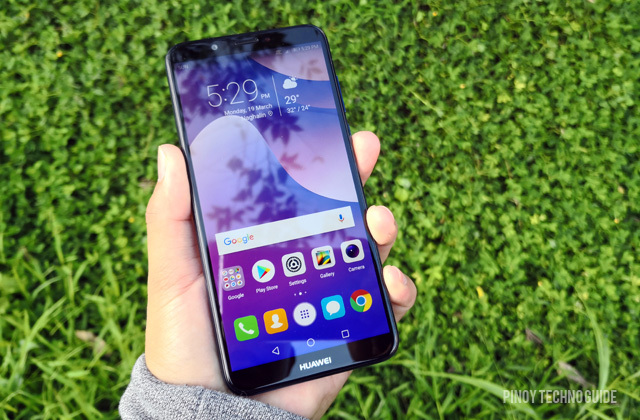 The Huawei Nova 2 Lite already comes with Android Oreo out of the box. Hence, it has the new Android features such as autofill of login credentials, notification dots and better notification cards management. Likewise, the device comes with Huawei’s own EMUI version 8 software. It still has the clean look of its previous versions but with better support for split screen function and more fluid transitions. I made changes to the default UI though and chose the homescreen layout with an app drawer. 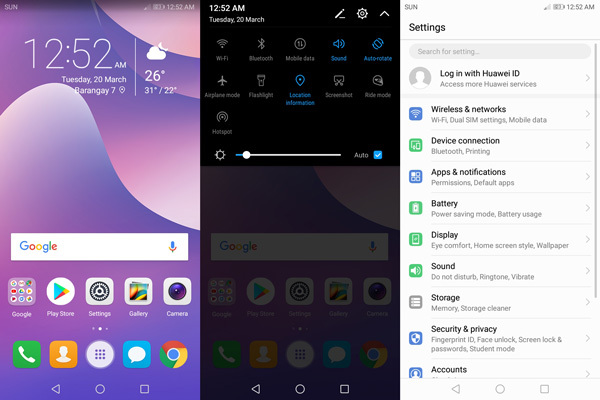 More customizations are available once you dig down in the settings or open the native Huawei apps. 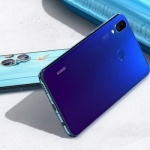 The Huawei Nova 2 Lite has dedicated slots for two SIM cards and a microSD card. Calling and texting have no issues and there’s no need for a replacement Messaging app since the built-in one already looks neat. Meanwhile, using mobile data results in speedy mobile internet connection especially when connected to a 4G network. Signal reception is impressive too! My only wish is a 4G only option in preferred networks. Wi-Fi, Bluetooth and GPS all work well. Transferring files to a PC via the included microUSB cord is likewise swift. 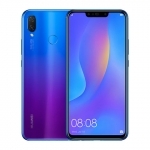 There are two biometric security features of the Huawei Nova 2 Lite – a fingerprint sensor and Face Recognition. The first one is fast and accurate (9/10 tries) but the latter takes sometime in unlocking the device, especially in low light. Sadly, the phone does not have a gyroscope. This means the AR mode in Pokemon Go won’t work as well as other AR apps. 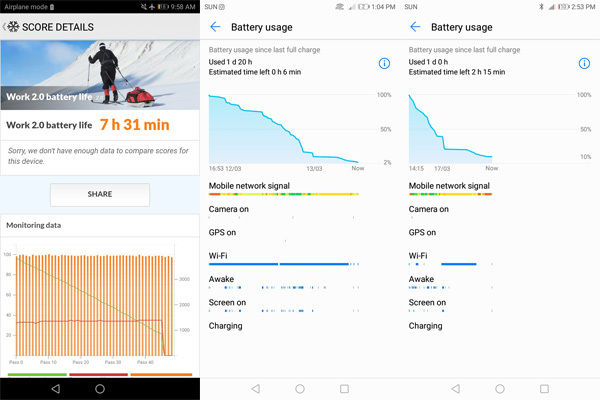 Battery life of the Huawei Nova 2 Lite. 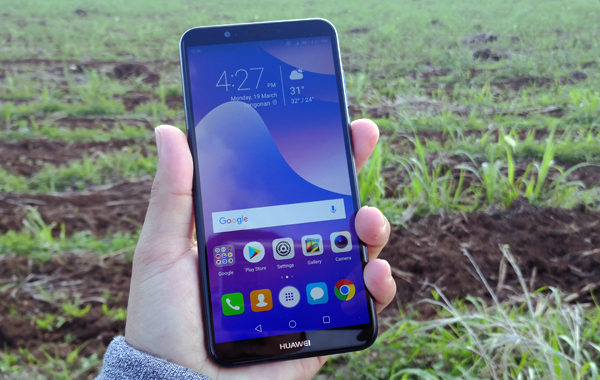 Just like other Huawei smartphones, the Huawei Nova 2 Lite has remarkable battery life. It lasted almost two days on a single charge with casual usage! When used with mobile data turned on, its battery life drops to just a day while gaming drains its battery quickly. It scored 7 hours and 31 minutes on PCMark’s battery test. This was done with the phone’s brightness set at around 50% and Airplane mode turned on. However, charging time is a bit long at 2 hours and 35 minutes. That’s because the massive 3000mAh battery only uses a 5V/1A charger. If you’re looking for a smartphone that looks premium, takes good-looking selfies, performs decently and costs less than most mid-range options, the Huawei Nova 2 Lite is worth considering. Sure, the competition is tough but they can’t beat this in photography. It’s now available at Huawei concept stores and on Lazada Philippines for pre-order with free JBL headphones. Average rating of 3.6 stars from 78 users. It’s a gorgeous smartphone with a good front camera for selfies and an eye catchy design.